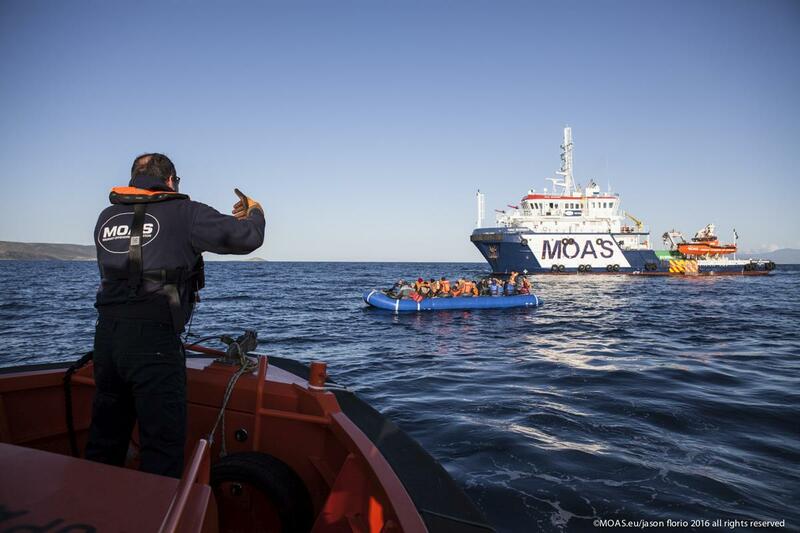 6 April 2016 – Search and rescue charity Migrant Offshore Aid Station (MOAS) has received the Special 112 Award by the European Emergency Number Association (EENA) for its work and outstanding achievements in preventing loss of life at sea. The award was part of the annual 112 Awards Ceremony, organised by EENA and attended by approximately 500 guests who gathered to celebrate and support excellence in the European-wide emergency services field. Seven (7) awards were given to a total of ten (10) winning organisations and individuals, in a ceremony that took place in Prague, Czech Republic. The Special 112 Award was also given to Airbnb for its Safety Card update to inform travellers of 112 as the common European emergency number. Launched in 2008 by the European Emergency Number Association (EENA), the 112 Awards Ceremony is the only pan-European awards ceremony in the emergency services field. This year’s event will take place in beautiful Prague on 6 April 2016. EENA, the European Emergency Number Association, is a Brussels-based NGO set up in 1999 dedicated to promoting high-quality emergency services reached by the number 112 throughout the EU. MOAS was set up in 2014 by Christopher and Regina Catrambone and has saved more than 13,000 lives to date. The NGO positions itself at sea in critical migrant routes such as the Central Mediterranean Sea, the Aegean Sea and the Andaman Sea.